China is often regarded as mysterious and incomprehensible. It seems to be completely different in all senses, though amazing and beautiful, full of bright colors and ancient traditions. 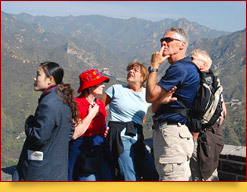 This is one of the oldest worlds civilizations, and curious traveler has a great opportunity to learn the secrets of Chinese philosophy, visit ancient cities and modern mega-cities, admire the extraordinary beauty of nature, mysterious creations known as the “world’s eighth wonder”, and appreciate the sophistication and diversity of Chinese cuisine, the greatest progress and persistent traditions. Just think about the famous finest porcelain, white rice, hardworking people, numerous terracotta troops, powerful emperors and their palaces, dragons everywhere, the Great Wall of China, a unique language and culture, mysterious hieroglyphs... Let’s not forget the tea ceremony. The tradition of tea drinking in China has more than one millennium, and in Chinese it sounds like “Gung Fu Cha” - “the highest mastery of tea drinking”. It is in China that you learn the difference between true and false honey. Also here you come to know the popular Feng Shui doctrine of subtle energies allowing people to be in harmony with themselves and the world around them, in its native land. China has an unusual flair, it is so bright and kaleidoscopic that it seems striking to a person accustomed to European architecture! Geographical setting. The People's Republic of China is country of dazzling scale located in East Asia. The state ranks worlds third in size - only Russia and Canada are ahead. The relief of the country is diverse - there are deserts, plains, plateaus, depressions, mountains. China has the largest plateau in the world - the Tibetan Plateau (a combination of plains up to 4,000-4,500 m high and ranges of 5,000-6,000 m). The highland is framed by high mountain systems: in the south and west - by the Himalayas and Karakorum, in the north and east - by the Kunlun, Nanshan and Sino-Tibet mountains. And the planet’s highest point, Everest, is also partly in China, precisely, it is located on the border of China and Nepal. In the north and northwest of China there are vast desert plains: Tarim, Dzungarian, Alashan, Gobi. An endless Great China Plain stretches along the Yellow and East China Seas. Population. The world’s most numerous nation of 137,386,112 people are the Chinese calling themselves “Han”. 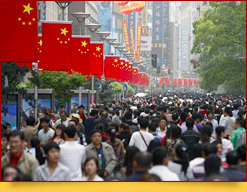 The total population of China has already exceeded 1,349,585,000 people. In addition to the Chinese themselves, the country is inhabited by representatives of 56 ethnic groups, distinguished by their traditions and customs, national costumes and language. These peoples, however, make up only 7% of the country's population. The second largest ethnic community of the country after the Chinese is Zhuang. Basically they are engaged in farming (rice), they practice animism religion. 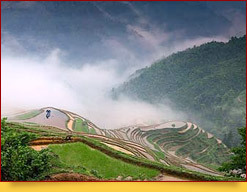 Thais live in southern Yunnan. Tibetans mostly live in the Tibet Autonomous Region, which became part of the PRC in 1959, tribal relations between them are still strong, their main occupations are cattle breeding, partly hunting. Tibetans practice Buddhism. Representatives of the Miao-Yao people live in the central, southern, and southwestern regions. Many of them lost their traditional tribal features, but still retained their language. In the south-west of China there are many small ethnic groups that have lived apart for a long time. The Altai language family is represented by the Uygurs, the Kazakhs, the Kirghiz. The place of their compact residence is Xinjiang Uygur region. One of the most widely represented nations of China is the Mongols. Previously, they were engaged in cattle breeding, however, at present, an increasing part of the Mongols combine farming with grazing. In 1980, China pursued the “One Family - One Child” policy to curb population growth, but now it no longer works. Political structure. China defines itself as socialist state under the people's democratic dictatorship. The supreme body of state power is the National People's Congress. The country's president is also the General Secretary of the Communist Party. Administrative and territorial division: 22 provinces, five autonomous regions, four direct-controlled municipalities, and the special administrative regions of Hong Kong and Macau. Capital. One of the largest among direct-controlled municipalities is Beijing, the capital of the state. So-called northern capital is populated with more than 20,690,000 people. The state language is Chinese. China has four main language families: Sino-Tibetan, Altaic, Indo-European and Austroasiatic. The most widely spoken language is Han (actual Chinese), belonging to the Sino-Tibetan (Sino-Tibetan) language superfamily. In Chinese, 10 dialect groups are distinguished: the northern supergroup (Bei, the most numerous - over 800 million speakers), the Jin, Hoi, Wu, Xiang, Gan, Hakka, Yue, Pinhua and Min groups. Dialects differ phonetically (which makes inter-dialectal communication difficult, although dialects are connected by regular sound correspondences), vocabulary, partly grammar, but the fundamentals of their grammar and vocabulary are the same. The differences are sometimes so significant that the inhabitants of one region of China cannot explain themselves with the inhabitants of another. The Standard Chinese, called Putonghua in China, Huayu in Singapore and Guoyu in Hong Kong and Taiwan, serves as a means of communication for speakers of various dialects. When people don’t understand each other speaking, they can explain themselves by writing the hieroglyphs on paper or by drawing them in the air. These signs are not letters, as arranged in other languages, but symbols of words, which complicates the study greatly. In order to master reading, one needs to remember at least 3,000 hieroglyphs. Literary language is based on the northern dialects. The phonetic norm is Beijing pronunciation. English is recognized as official, but not all Chinese speak though it is widespread mostly in large cities. Currency. 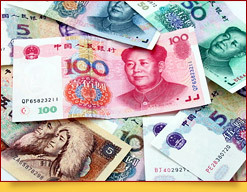 Calculations in the country are made only in Renminbi (RMB) also called yuan. One yuan is subdivided into 10 jiao, and a jiao in turn is subdivided into 10 fen. "Renminbi" literally translates as "people's money." The word "yuan" means "round coin" - once this name was worn round silver coins of the Qing dynasty. Religions. The traditional religions that most locals profess are Taoism, Buddhism, and Confucianism. The Chinese are tolerant of representatives of very different beliefs. There are Christians, Muslims, and followers of various pagan cults. Even here, surprising tolerance can be observed — in all the temples, three beliefs are united. Standard time zone: With all the linguistic and religious diversity, the population lives in the capital time. It differs in a big way from Greenwich by 8 hours (UTC / GMT +8 hours). Electricity. There is also duality in the power supply, and sometimes even triplicity. That is, in hotels you can find sockets where 220 and 110 volts are supplied with sockets of both European type and non-European type. In the capital, the outlet usually produces 220 volts with a frequency of 50 hertz and the appearance of the socket differs from its European counterparts. This will not be a problem, as in all hotels you can ask for adapters. It is better to purchase it in advance, though. The climate of China is very diverse; here you can find species ranging from subtropical in the south to mild in the north. Thus, in the western part of the country, the climate is sharply continental, mild, and in the Tibetan highland - cold. Precipitation on the plain and plateaus is 50-250 mm per year; snow cover is not widespread, which allows year-round grazing. The climate is monsoon in eastern China, mild to the north of the Qinling Mountains, subtropical between the Tsinling and Nanling mountains, and tropical in the southern provinces. It is believed that China is very rich in rain and other downfall. This is not entirely true. Near the coastline, you can quite often encounter heavy rains and typhoons coupled with a gusty wind, but moving inland, the probability of getting wet is reduced almost to zero. The onset and withdrawal of monsoons determine to a large extent the amount and distribution of precipitation throughout the country. The huge differences in latitude, longitude and altitude in the vast territory of China give rise to a large variety of temperature and meteorological regimes, despite the fact that most of the country lies in the mild climate region. Due to the country’s relief diversity, it is almost impossible to derive a single climatic indicator. In China, 6 climatic zones are distinguished, making one region of the country more suitable for a trip in the summer and another in the winter. For example, Eastern China is better to visit in the spring, because in summer there is too much rain, and you can go to the southern island of Hainan at any time of the year - it is always warm there. The capital of the state, Beijing, is considered cool because of its subtropical monsoon climate with its winter winds and summer rainfall. Very often (up to 5 times a year), the southern and eastern regions of China suffer from catastrophic typhoons, floods, monsoons, tsunamis and droughts. Every spring, the northern regions of China get covered with yellow dust storms, originating in the northern deserts and carried by the winds towards Korea and Japan. If the journey is not limited to visiting one particular city, then the clothing must meet different conditions. Even in the warmer months, you should take a light jacket, but rather a few. Humidity in China is quite high, so things do not dry out quickly. Jeans, shirts, sweatshirts - all this must be in an amount of at least two pieces. The Chinese prefer simple, but practical and comfortable clothing. White and blue in China symbolize death and mourning, they better be avoided. If during the trip you are going to visit the opera (theaters, status restaurants, etc. ), then you should have a classic suit or evening dress in your suitcase. Shoes for traveling in China should also be practical and comfortable, because probably will have to walk a lot. It is always better to have a spare pair of footwear in a suitcase in case the main one gets wet or torn. 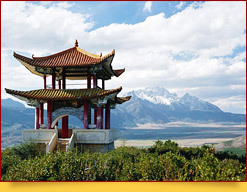 China's culinary traditions may well be regarded as one of the main attractions of the country. In China, the attitude to food choices, the cooking process and directly to the very food intake is based not so much on the need to saturate the body with useful substances and enjoy it, but rather on philosophy and religious concepts. The Chinese have been allocated five sacred cereals - rice, soybeans, rye, millet and wheat, which are the dishes main components. The use of various sauces is equally important, sometimes changing the flavour radically. Sauces tastes correspond with the elements. Sharp is for fire, sour for air, sweet for wind, and salty is for water. Savorless is undesirable, as Confucius spoke in his time. Chinese cuisine has been replenished with culinary borrowings for thousands of years, but it has always maintained its own style, which is hardly confused it with any other. And this is despite the fact that China has 8 gastronomic areas. Beijing, Shanghai, Guilin, Guangzhou, Luoyang, Sian, Hanzhou, Qingdao and Hong Kong cuisines are all quite different. The most popular is Beijing cuisine. It is impossible to resist the magnificence of noodles, prepared according to its traditions. As well as the famous Peking Duck! 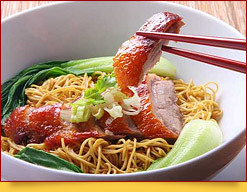 The national Chinese cuisine also has exotic dishes, like swallow nests, cat and snake meat, but they are not routine. Traditional food hits taste of any foreign guest. Food presentation should also be mentioned. According to the Confucius instructions, dishes should not have an unpleasant appearance. Visiting China, one can only marvel at picturesquely decorated foods. To all the advantages of local cuisine you can add and its diversity. Meat, poultry, fish, and all kinds of vegetables are used evenly, making food healthy. Feel free to check with the waiter what the dish is made of if there is no such description in the menu. Meals in China can be relatively cheap. In large cities, the amount for lunch or dinner spent in a cafe or a regular restaurant is $ 8-10. In addition, the country is well-developed local fast food, where you can eat even for $ 5. As the distance from the capital and mega-cities, the cost of meals goes down. We recommend choosing Chinese dishes - there is no Chinese restaurant abroad that can be compared with local counterparts! A single-entry visa tourist visa to China is issued at the Embassies and Consulates of China for one week (the fee is about $ 45), but you can also get an urgent visa. Group of tourists can request for a group visa, which is a bit cheaper. It is worth remembering that China visa does not imply an automatic entry permit to anywhere in the country. Entry to Tibet, for example, is strictly limited. 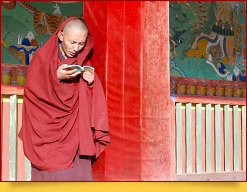 You can get there only as a group member and only by prior permission from the Tibet Tourism Bureau. To enter Taiwan, you also need a separate Taiwan visa, which does not entitle you to visit the mainland China. Walking through the streets of Chinese cities there is a risk of getting lost. To avoid this, you should always have a hotel business card, a piece of paper with your address written in Chinese or a card with your data, filled by any Chinese translator. It is undesirable to carry identity documents. It is better to carry a passport copy, and deposit everything else with the duty porter or a travel agency representative. If you lose your passport, contact the embassy or consulate immediately. As in any other country, you should not carry all your savings with you, or show them to those around you. Although the crime rate here is not high, it is better not to risk it. The Chinese norms of behavior in public places are different from European - it is better not to make comments to local residents. In case of indigestion, it is best to refuse the dishes of national cuisine. Tap water is not drinkable. Hotels normally provide either a thermos with boiling water or an electric kettle in the room. Also, in most hotels, mineral water is free of charge (the Chinese do not consume carbonated mineral water on principle). In Hong Kong, a fine of 5,000 yuan (approximately US $ 600) is charged for smoking in public buildings (airport, shops, subway). The Chinese customs regulations in place imply restrictions on cigarettes import - when entering the country you can have no more than 400 pieces, alcoholic beverages - no more than 1.5 liters, and gold jewelry - up to 50 g. The equipment can be imported only for personal use in the amount of not more than a unit of each type. There are no restrictions on foreign currency; you only need to declare it when it exceeds the equivalent of 5,000 US dollars. Yuan can be imported and exported, but not more than 20,000. Import of drugs, weapons, ammunition and materials that threaten the constitutional structure and culture of the country is strictly prohibited. The declaration is obligatory both for equipment and for temporarily imported works of art. It should be remembered that exported cultural property purchased in China must be accompanied by a certificate from the PRC Ministry of Culture and Tourism and a sales check. Of course, the probability of buying an ancient manuscript is low; nevertheless, it is better to buy souvenirs in official stores. China is famous for all kinds of traditional medicine, which can be exported in the amount of not more than 300 yuan. In Hong Kong or Macao, similar substances and items can only be imported for up to 150 yuan. When entering China, it is advisable to carry a small amount of cash in US dollars. The exchange of foreign currency is not a problem here. It can be transferred to local yuan in any Bank of China branches at airports (the most favorable rate), major shopping centers, railway stations and hotels. Checks received during the exchange should be preserved, since the reverse exchange of the remaining yuan at the end of the trip can only be carried out upon presentation of it. You cannot change currency on the street or in the market. American Express, JCB, Visa, Master Card and Diners Club cards are accepted in international class hotels and restaurants, as well as major state-owned department stores. You can withdraw cash from them only at Bank of China branches (the commission fee is usually 4%). When buying by credit card, a special fee is charged (1-2% of the purchase price), discounts do not apply to such a purchase. The currency unit of Hong Kong is the Hong Kong dollar HKD (1 USD = 7.7 HKD). Macao’s local currency is Pataca, but the Hong Kong dollar is also freely circulating in the country. To the tourists’ attention: the currency in the hotel is exchanged only to its guests. Old or damaged dollars usually accepted reluctantly or not accepted at all. Restrictions on photo and video in China apply to temples, museums, airports and military facilities. There are restrictions on photos / paid photography in some historical monuments (check with the guide). It is not recommended to photograph government institutions and strategic facilities (even bridges and dams). There is also a criminal penalty for uncoordinated photo and video filming against government officials and local residents. China is a paradise for fans of souvenirs. For example, silk products. Chinese silk is one of the most famous in the world, and the things made of it have great softness and lightness. 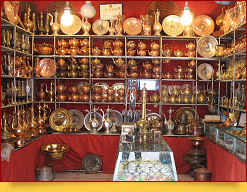 Here you can buy silk clothes, bed linen, decorative items. Plates, cups and other items from real Chinese porcelain will eclipse the rest of the dishes in the house with their grace. Chinese green tea, also brewed in a ceramic teapot, is incomparable. As a gift to friends, you can grab from the Middle Kingdom and alcohol. 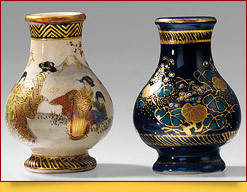 Some manufacturers pour it into special porcelain vessels decorated with hieroglyphs. Women will be delighted with pearls of different colors and sizes, and children become fans of plush pandas and other various toys.